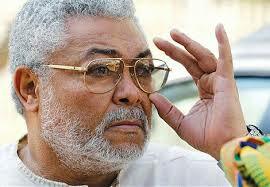 Former President Jerry John Rawlings has condemned Madam Dzifa Attivor for making tribalistic comments as the country goes to the poll this year. According to him, it was “distasteful” for the former Transport Minister to claim that the New Patriotic Party has targeted Ewes and was burnt on jailing some key Ewes if it assumes power. “Before making such unfortunate statements let’s remove the logs in our own eyes,” Mr. Rawlings advised Madam Attivor in a statement issued on Wednesday. My attention has been drawn to a statement made by a former Minister for Transport, Dzifa Attivor at a political event at Wodoaba in the Volta Region. I find it distasteful that aside making ethnocentric references accusing the NPP Presidential candidate of being tribalistic, she also insinuated that because I was the Founder of the National Democratic Congress (NDC), the electorate in the Volta Region should vote for the party on that basis. Before making such unfortunate statements let’s remove the logs in our own eyes. I do not subscribe to the politics of ethnic bias and never have. While I may not be a fan of the NPP, I know their presidential candidate is not tribalistic or ethnocentric. Whatever Nana Addo’s shortcomings, tribalism is not one of them. Some known and respected Voltarians like Nutifafa Kuenyehia should be able to testify to his political nature. As we draw closer to the next Presidential and Parliamentary elections we all as Ghanaians expect ALL PARTIES involved in the process to base their arguments and campaign rhetoric on the truth and desist from emotional and non-factual statements, especially where my name has to be mentioned. I implore the electorate not to allow immature behaviour and pronouncements to cloud their judgement.